My blog post about Climate Fiction, a “hot new genre” (here) led me to “virtually” meet Dan Bloom, the journalist and “green” activist who coined the term “Cli Fi”. I was very happy to meet him, he’s a fascinating and somewhat explosive person, a Tufts graduate who’s worked in Alaska, Japan and Taiwan (where he now lives). And he’s agreed to answer a few of my questions here. Claude: Dan, you coined the term Climate Fiction, cli-fi for short, back in 2008. When did the term start to catch on? Dan: The term was modelled after sci-fi, of course, and at first it didn’t really catch on, not until 2013 when NPR did the first big media story on the cli-fi genre (see here ). Dan: Yes, and now the term is fast becoming a buzzword in the media, culminating in the recent article in the New York Times about using cli-fi in the classrooms to teach American students how to handle the challenge of global warming (see here ). Claude: Yes, that’s how my attention was drawn to it, from reading it in the New York Times. I noticed the story was picked up by others as well, including Sadie Mason-Smith on the Melville House website (here). And now, according to the UN’s IPCC latest report on Climate Change, climate warming is fast getting worse because too many countries have dragged their feet for too many years (see here ) So there’s a definite need for Climate Change activism! I’d like to find out how the idea of “cli fi” ever occurred to you. Why did you coin the term? Dan: I have been an independent deep-green climate activist since 2006 when the big earth-shaking IPCC report on climate came out and it was that IPCC report and the accompanying news media articles about the report that woke me up. Claude: So your concern for global warming and its consequences is relatively new? Dan: Yes. Before then, I was not thinking very much about climate issues. But I woke up in 2006. Not being a scientist, there was not much I could do to join the debate about climate change and global warming. Claude: What was your “wake-up” moment? Dan: A 2008 blog post by New York Times science reporter Andrew C. Revkin on his “Dot Earth” sustainability blog. That’s what did it. He mentioned how artists and novelists can use “the arts” to communicate climate issues to a broad public. That made me think what I could do, if anything, to add to that concept of art and literature as tools of communication. Claude: So, concretely, what was your next step? Dan: One day while I was doing some PR for a climate-themed book by Jim Laughter, a Tulsa, Oklahoma author, for his novel titled Polar City Red set in Alaska in 2075 (the book came out in 2012, see here ) I hit on the cli fi term I had coined in 2008 to describe Hollywood movies focused on major environmental change like The Day After Tomorrow. I decided to inject the cli fi term as part of my press release about Jim Laughter’s Alaska novel. So I sent out some press releases to book reviewers and I called his novel a ”cli fi thriller” and slowly the term took on a life of its own. A few newspapers and blogs used the term in talking about Jim’s novel, but nothing more, although one newspaper in North America reviewed it. Dan: Right. And, in spite of relatively slow sales for that book, I didn’t give up and tried to keep the cli fi term alive with many blog posts and by leaving a large digital footprint on the internet, so that if any reporter googled the cli fi term, hundreds of items would show up in the Google search list. Claude: And on Wikipedia. You can read about it here. But what was the turning point? Claude: She opens her post by noting that cli-fi is a “fledgling new genre in literature”. Then she immediately mentions Michael Crichton’s blockbuster State of Fear, a 2004 techno thriller against the backdrop of global warming. However it got panned apparently because of gross scientific errors. She argues that a climate scientist could however pen such a techno thriller without losing his reputation and she cites Rex Fleming . Dan: Cli fi as a genre was certainly ‘fledgling’ back in December 2012. But Dr Curry herself changed that. She makes a list of about 20 or so cli fi novels, including big names like Clive Cussler, Ian McEwan and Barbara Kingsolver. And she included Jim Laughter’s Polar City Red and used my press release term of calling it a “cli fi thriller”. That led four months later to NPR interviewing Dr Curry for its CLI FI radio program announcing that a new literary genre had arrived. I had sent dozens of press releases to the NPR book department email address about the cli fi concept, but the station never replied to any of my appeals for an interview or a radio show about the new genre. Claude: Par for the course, I suppose that was rather discouraging…Of course, Dr. Curry is a big shot at the Georgia Institute of Technology. Dan: She heads the School of Earth and Atmospheric Sciences since 2002. Claude: Isn’t she also a rather controversial figure? There is this interesting article in the Scientific American that calls her a “climate heretic” who has “turned on her colleagues”. But that article was written in 2010 and is now probably reflecting an outdated position in the American scientific community. I rather like her position on the latest Climate Change report from the UN: she welcomes the idea of putting the Climate Change discussion behind us and focusing on the needed survival strategies rather than pursue mitigation or curbing measures… What is your take on this? Dan: I read Dr Curry’s blog posts regularly and keep in touch with her by email from time to time, too. I deeply respect and admire the kind of scientist (and humanist) she is. She’s one of my teachers now, too.The world needs more scientists like her, who are not afraid to speak their minds and even join the debate from different sides of the table. And I am so glad she blogged about cli fi novels back in December 2012. Her post led to all this today. Claude: You mean the interest shown by NPR? Dan: Yes. So imagine my surprise one day in April 2013 when I see via my daily Google search for cli fi news that NPR did the story! I immediately set about doing all I could as a PR operative and a climate activist and a literary theorist to push the cli fi meme uphill, using the NPR link as the wake-up alarm. I wrote to the Guardian and asked if they could do a cli fi story for British readers. They did. I wrote to the Financial Times in the UK and asked my contacts there if they could do a cli fi story, and they did. Alison Flood, the Guardian’s book critic, did a blog post on “why cli-fi is here to stay”. Dan: At first most media never responded to me, or even answered my email pitches. But they did line up, one by one, to add to the ”cli fi genre is rising” chorus, from Britain to Australia. I kept up the PR blitz, contacting every media outlet I could. The New Yorker magazine followed the Brits, as did Dissent magazine last summer. There was something in the air I think, but my PR campaign was crucial. I then spent time lobbying the New York Times to report the cli fi news, and I contacted 12 reporters and met up with 6 months of rejections and emails that read “sorry not interested.” But in January 2014 I found one Times reporter I knew from earlier contacts ten years ago and I emailed him. And three months later his New York Times article came out worldwide not just in the U.S print edition and on the newspaper’s popular website, but also via the New York Times News Service which syndicated the article to over 400 newspapers worldwide, from Italy to France to Japan to Sweden. Claude: So the New York Times article, the one I noticed, was a major turning point. Dan: It was. Now I am focusing my media contacts on the Associated Press and Reuters News Service for wire stories about the cli-fi genre. And Nicholas Kristof, the New York Times columnist who has a keen interest in climate change issues, told me he will write a Sunday column soon about his take on the power of cli-fi literature to serve as a wake-up call. So things are happening. Claude: They sure are! I’m looking forward to Kristof’s piece, I think he’s a remarkable columnist and I totally agree with the concept that climate fiction can serve as a much needed wake-up call. We need to go beyond sterile discussions about who or what is responsible for global warming and do something about it because one thing’s certain: it’s happening! Is that why the idea of cli-fi occurred to you? 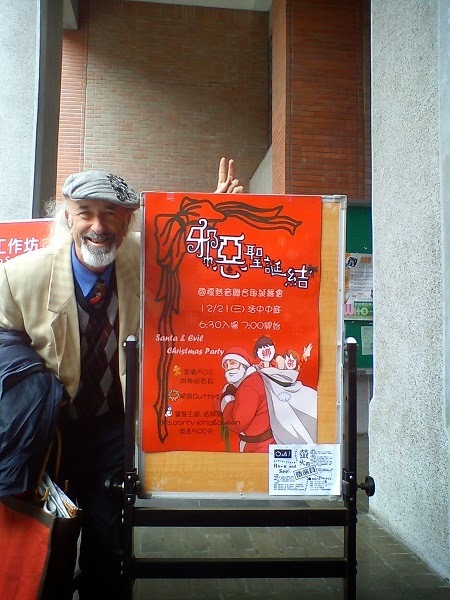 Dan: Yes, as a climate activist but also as a literary activist…My major at Tufts University in the 1960s was French literature and I spent a year in Paris in 1969 absorbing the culture and drinking the coffee — I felt that a new literary term for climate-themed novels might help serve as a wake-up call for the future humankind faces now. Besides, I’ve always loved words and word games and crossword puzzles and sci-fi. I grew up with sci-fi novels in the 1950s and 1960s. I am a big sci-fi fan. So one day, my imagination just jumped over the fence and told to make a new word and call it cli-fi and see what happens. I like to see what happens. So I did it. Claude: So are you a writer in pectore? Dan: No, I am not a novelist or a short story writer or a screenplay scriptwriter. I don’t have those kind of writerly skills. I am just a climate activist, first, and a lifelong reader of novels, second. Claude: I gather that Margaret Atwood was an early supporter, though she calls her own novels “speculative fiction” rather than cli-fi — while at the same time fully supporting your creation of the cli fi genre for whoever wants to work in it. Dan: Exactly. 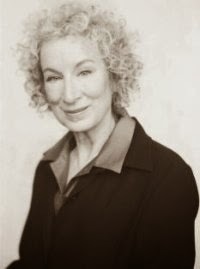 Margaret Atwood has written three op-eds applauding the creation of the new genre that has been dubbed cli fi, one was published in the Canada Living magazine, one was published in the Huffington Post and another was published in the Financial Times recently in London. And she has often tweeted and retweeted cli fi news links to her 450,000 followers! Claude: That’s a lot of followers on Twitter! Dan: So yes, Ms Atwood has been instrumental in helping to popularize the cli-fi genre, come what may. I consider her my teacher, although we have never met. My other two teachers in the cli fi project are James Lovelock, whose ideas about the Earth being a kind of Gaia goddess that needs to be respected and protected or it’s curtains for the human race, and Andrew Revkin who runs the Dot Earth blog at the New York Times and which I have followed since its inception. Claude: Okay, now let’s get down to the nitty-gritty. What is your definition of Climate Fiction? Dan: So I want to use the term “cli fi” only in this interview and I also only use cli fi in my press releases. Why? As a lifelong journalist and PR guy, I know the power of headline buzzwords to serve as signposts along the road. So cli fi is a signpost and a wake-up call. 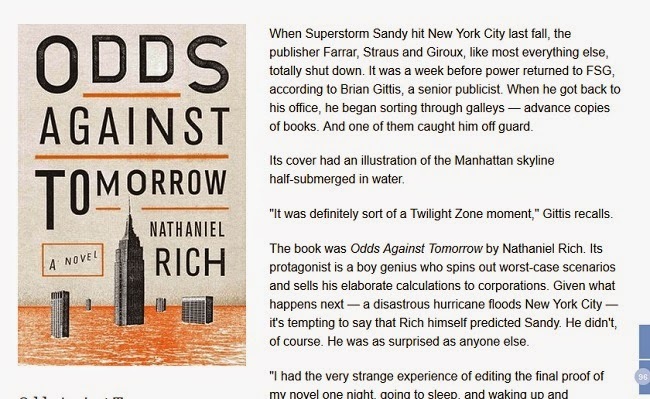 The term “climate fiction” has been used for a long time, and I never coined that term. I just took it and tried to transform the longer version into a kind of code word and I thought of calling it “cli fi.” So let’s just talk about cli fi and leave “climate fiction” for scholars and professors to discuss. The New York Times article about cli fi just mentioned the term once in the entire 1000-word story, and not in the headline at all. Claude: I put it in the title of my blog! Dan: Good! I was hoping for a headline mention of cli fi in the NYT, but in the PR business one cannot control how headlines are written or even how news articles are written. But the Times article was very important and for one special reason: cli fi has now been mentioned in the newspaper of record, The New York Times. That’s a first. This is the beginning. There is no stopping the rise of cli fi novels now. Claude: What hopes do you have for the genre? What do you expect to achieve through it? Dan: My hope is that cli fi will serve to bring together novelists and editors and literary agents and publishers — and readers! — as we explore the role of novelists in the ongoing debates over climate change and global warming. My hope is that the news media will start reviewing cli fi novels as cli fi novels, and stop calling them science fiction novels. Claude: You don’t consider cli-fi as a subgenre of science fiction? Dan: As I see things now, after several years of working on this project and getting a lot of feedback from readers and writers in both the sci-fi community and the growing cli fi community, cli fi is not a subgenre of sci-fi but a genre of its own. And sci-fi novels can also focus on climate change and still be classified as sci-fi novels, if that is how the novelists themselves want it and how literary critics see it. But at the same time, I now see cli fi as a separate genre that has attracted its own community of writers and readers worldwide. And sci-fi and cli fi are not competing genres at all; they complement each other, and they are, in a way, sister genres. I love sci-fi, and always have. Dan: Now I am trying to popularize cli fi, too. I believe we are on the same page, sci-fi writers and cli fi writers. But one thing needs to be pointed out: While cli fi is usually filled with the moral implications of climate change issues, sci-fi is usually filled with the intention of exploring the possibilities of science and its relationship to humankind. So that is where cli fi and sci-fi go in different directions, and both genres are valid and useful. Claude: Yes, both are useful and I love both! But what sort of future do you see for cli fi? 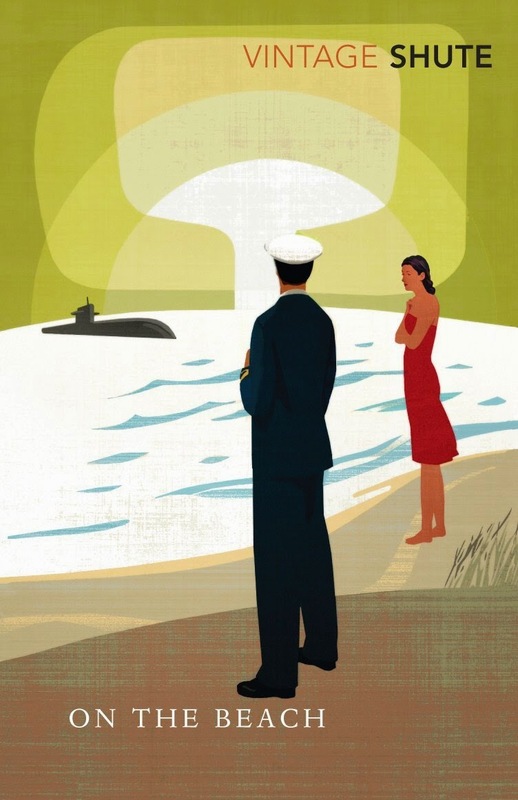 Dan: My hope is that a modern Nevil Shute will arise, male or female, in any country in any language, to write and publish a climate-themed cli fi novel with the same power as Shute’s 1957 novel On The Beach which served as a wake-up call about nuclear war and nuclear winter. And the movie was important, too. Claude: The Next Big Novel that will shake society should be in “cli fi”! Dan: Right! So I am looking for the Nevil Shute of cli fi. And to do this, I am quietly setting up what I call the international Nevil Shute Climate-Themed Novel Award to be first awarded in 2020 for the best cli fi novel in the previous ten years and to repeat the award every ten years internationally and awarding a prize of $1 million to the winner. Dan: Why not? You and many more writers, that’s what I’d like to see. I am now in the fundraising process of this new project, an offshoot of my cli fi PR work. I am looking for sponsors and a committee of judges to honor these kinds of cli fi novels. And I hope to see the “Nevils” — as I am dubbing the awards — keep going for 100 years, awarded every ten years for a total of ten times. And if the awards committee in 2120 wants to keep the awards going for another 100 years, I will nod yes from the grave. Literature matters. Words matter. Novels and movies made from novels can wake people up. The world is still asleep. We are facing the potential end of the human race. Wake up, world! Claude: An impressive project! What else have you got up your sleeve? Claude: Dan, that’s wonderful and I wish you every possible success in this most worthwhile cause. Thank you so much for joining me here and telling us about your dreams and your plans. I look forward to comments from my blog readers: has anyone read a cli fi novel recently? If you have, or know something about the genre that has not been covered here, please share! Previous Post Climate Fiction: A Hot New Genre? Next Post Book Cover for a Cli Fi Novel: Which is Best?